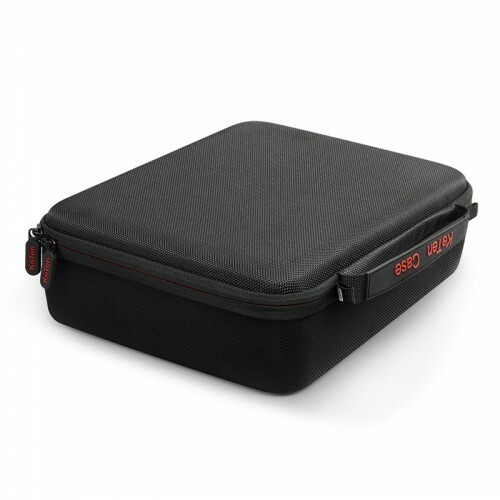 Keten Case for Cards Against Humanity Card Game Large Hard Black Box for the Main Game+6 Expansion 4 Moveable Dividers Contains up to 1500 Cards . 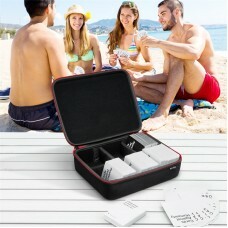 An deal case for your entire Cards Against humanity set to travel or join party. 1. 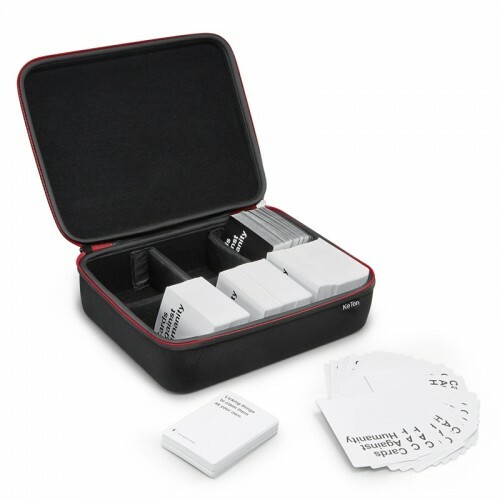 Unique design holds all cards with larger storage space for C. A. H. cards including the First Expansion, Second Expansion, Third Expansion, Fourth Expansion, Fifth Expansion, Sixth Expansion and more, holds up to 1500 NEW cards when all dividers are removed. 2. 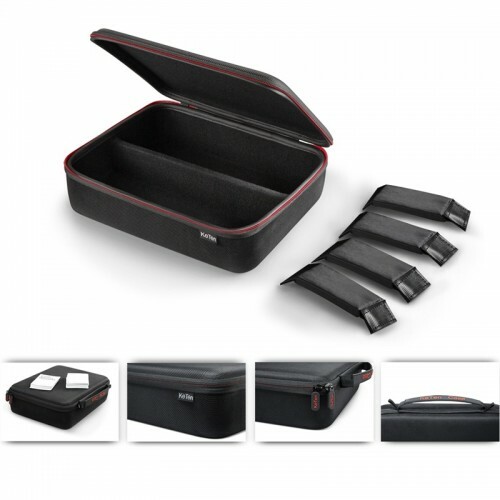 Hard outside, soft interior layer with zipper design keeps all cards safe and well organized with 4 removable dividers for your convenience. 3. Also fits for other playing card games including Crabs Adjust Humidity, Uno, Phase 10, Pokemon, Magic the gathering, Poker, Yugioh, Apples to Apples and much more. 4. Convenient hand strap easy carrying. Case ONLY, card game NOT included.